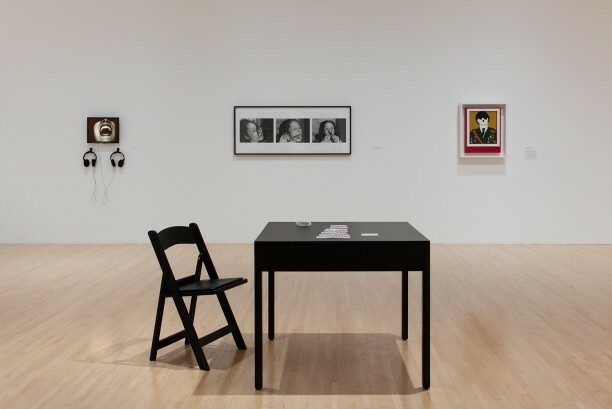 ​Created by Anna Maria Maiolino as the centerpiece of a 1976 exhibition, Solitário ou Paciência (Solitaire or Patience) was a performance in which the artist sat silently at a table playing the game of solitaire. Maiolino’s version of this classic card game was anomalous in that her deck remained purposefully incomplete, making the game impossible to win and turning a quintessential pastime into an embodiment of personal and political stasis. The work will be re-performed by Rebeca Hernandez on the occasion of Anna Maria Maiolino. ​Created by Anna Maria Maiolino as the centerpiece of a 1976 exhibition, Solitário ou Paciência (Solitaire or Patience) was a performance in which the artist sat silently at a table playing the game of solitaire.